June 1 – MarTechExec – What Trends Could Reshape Content Marketing? Find Out What the Experts Say. July 14 – #SocialPowWow – Why Does Social Media Fail ? Feb. 4 – PRCareersUK – #CommsChat & #PRproChat – What Are They? 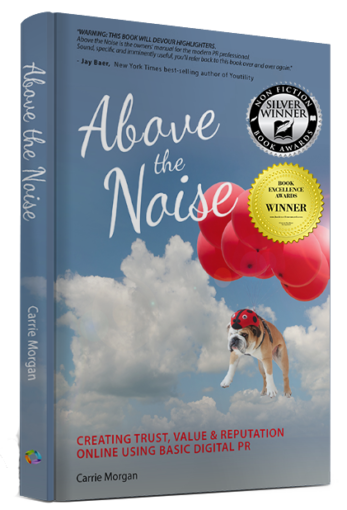 Jan. 27 – Carrie Morgan launches her first book, Above The Noise, on Amazon and Barnes & Noble! July 31 – Social Media Today – Can Twitter’s Decline be Saved with PR? July 27 – Glean – Is PR Losing to SEO Agencies in Content Marketing & Media Relations? April 12 – Social Media Today – Is The Name of Your Business Costing You a Fortune? April 8 – Marketwired – Can Public Relations Be Automated? 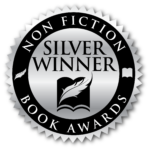 Oct. 21 – Kirsten Oliphant Blog – A Picture Is Worth How Many Words? Aug. 12 – LinkedIn – Is Your Online Newsroom Relevant? July 31 – B2Community – Rock The Pitch #6: Will You Keep Me In Mind For Next Time? May 7 – Business2Community – Is LinkBait Journalism Taking Over? Are We Headed in the Wrong Direction? Mar. 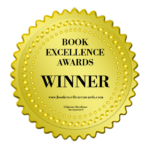 31 – Valley Book Blog – Are Press Releases Dead? How To Bring Them Back To Life. Mar. 30 – B2Community – Are The Days of PR Spin Doctors Dead & Gone? Ask Gini Dietrich. Mar. 12 – LinkedIn – Are You Firing Shots Over The Bow, When It Comes To Content? Feb. 28 – Social Media Today – Can You Use Other People’s Blog Posts? Feb. 11 – B2Community & Social Media Today – Is Semantic Search Enough To Help You Rank Well? Feb. 6 – Lisa Danielpour Blog – Facebook Conundrum: How Do I Ensure My Content Gets Found? Jan. 9 – B2Community – The Advertising Debacle Nobody Discusses. Jan. 3 – PR Daily – Does The Length of Your Press Release Headline Really Matter? Dec. 22 – Social Media Today and B2Community – Press Release Headlines: Does Length Really Matter? 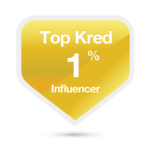 Dec. 3 – Social Media Today – Is Your Twitter App Causing Negative Social Proof? 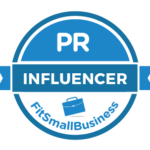 Nov. 18 – PR Daily – Is PR Flooded with Beginners and Under-Skilled “Experts? Oct. 7 – Social Media Today & Yahoo – Dear Digital Agency: I’m Stealing Your Clients. Here’s Why. Sept. 26 – Social Media Today & B2Community – Is Your Brand Fierce Enough? Sept. 24 – B2Community & Social Media Today – Is Pinterest Right For Your Brand? Aug. 29 – PR Daily, Social Media Today & B2Community– Does Editorial Coverage Oblige You To Buy Advertising? July 31 – B2Community – Want To Integrate Content Marketing & SEO Into Your PR? Start Here. May 30 – PRspeak – What Is Digital PR? April 22 – Social Media Today – What is Digital PR? Sept. 19 – HMA Blog – What is a Social News Release?